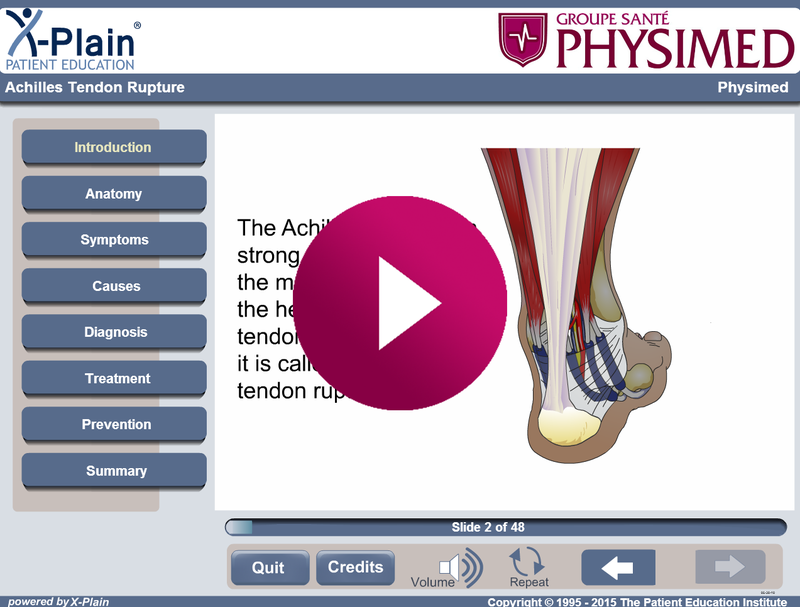 This program explains Achilles tendon rupture. The program includes the following sections: what is the anatomy of the ankle, what are the symptoms of Achilles tendon rupture, what are the causes of Achilles tendon rupture, how is Achilles tendon rupture diagnosed, how is Achilles tendon rupture treated and how can Achilles tendon rupture be prevented. 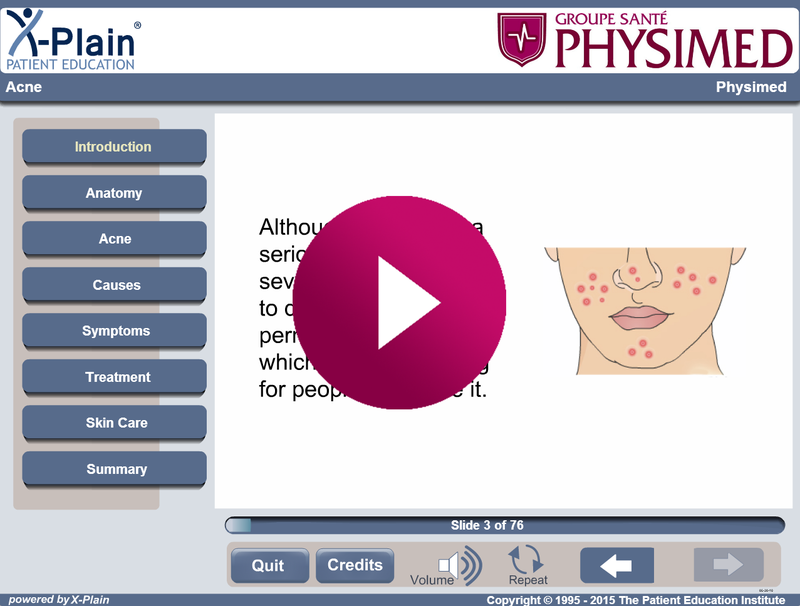 This patient education program explains acne and the various available treatment options. Included are the following sections: Anatomy, Acne, Causes, Symptoms, Treatment, and Skin Care. This program explains acupuncture. The program includes the following sections: what is acupuncture, what are the benefits of acupuncture, what are the risks of acupuncture, what happens before acupuncture and what happens after acupuncture. Acupuncture deals with needles and is a type of traditional Chinese medicine. 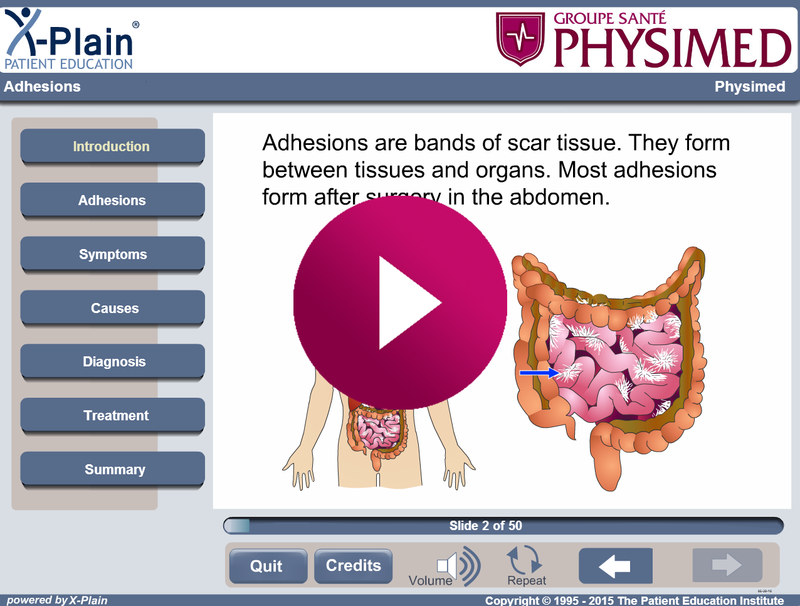 This program explains adhesions. The program includes the following sections: what are adhesions, what are the symptoms of adhesions, what causes adhesions, how are adhesions diagnosed, and how are adhesions treated. This program will help you better understand what adrenal gland cancer is and what treatment options are available. 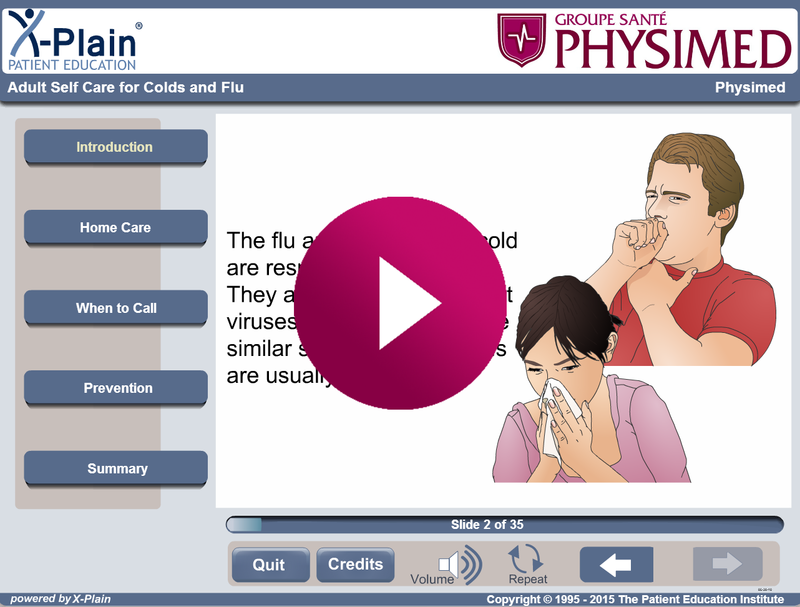 This program explains adult self care for colds and flu. The program includes the following sections: what is adult self care for colds and flu, what is home care for colds and flu, when to seek medical care if you have a cold or if you have the flu and how to prevent colds and flu. 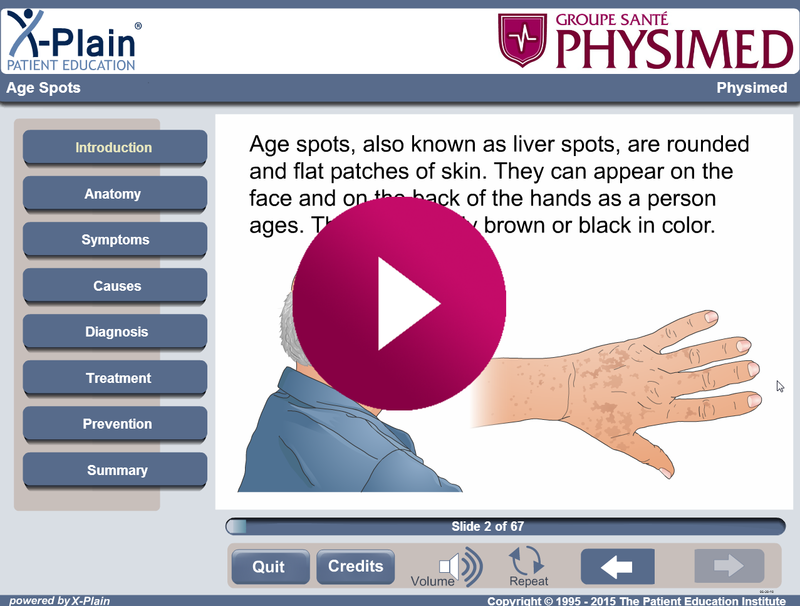 This program explains age spots. Age spots are also known as liver spots, solar lentigo or senile freckles. The program includes the following sections: what are age spots, what is the anatomy of the skin, what are symptoms of age spots, what are the causes of age spots, how are age spots diagnosed, what are treatment options for age spots, and how to prevent age spots. This program explains agoraphobia. The program includes the following sections: what is agoraphobia, what are the symptoms of agoraphobia, what are the causes of agoraphobia, how is agoraphobia diagnosed and how is agoraphobia treated. 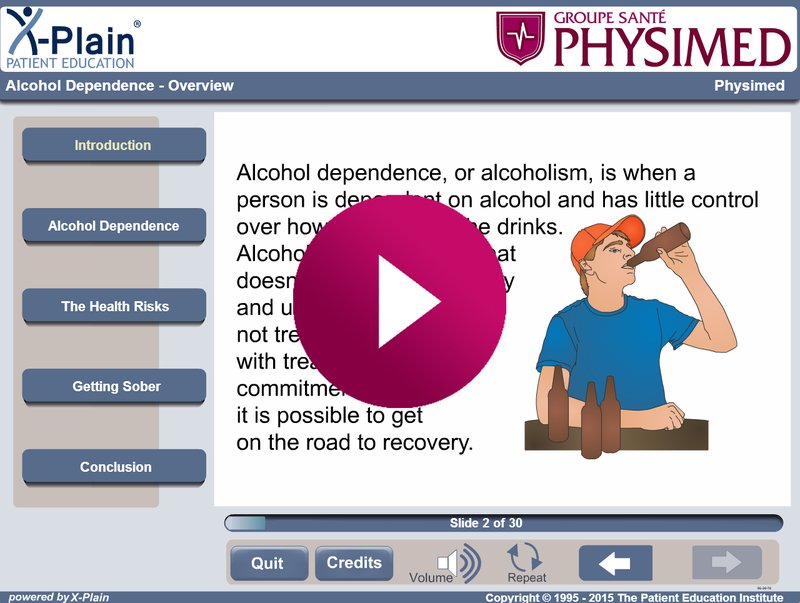 This program explains alcoholism, the health risks associated with it, and how to get sober. 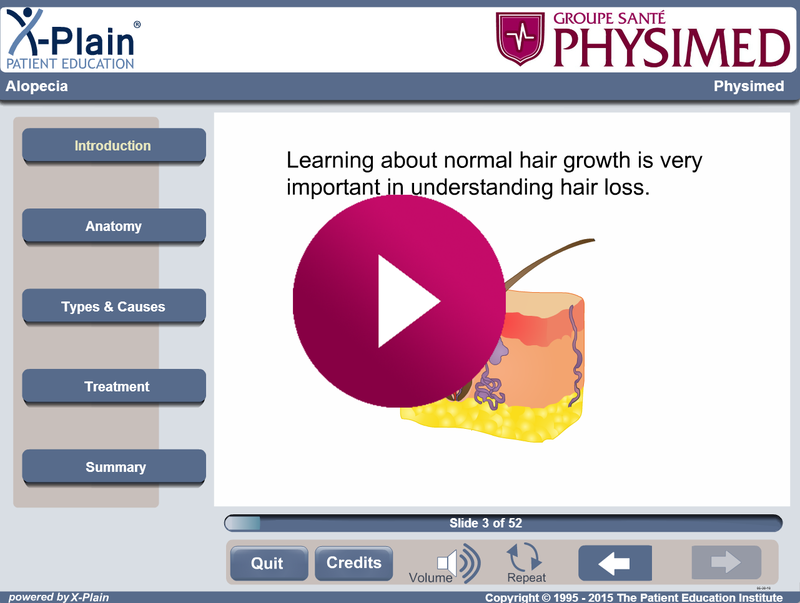 This patient education program explains alopecia, a group of hair loss conditions.